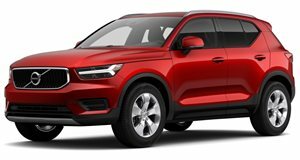 Which Small SUVs Have The Best Pedestrian Safety? Two out of the 11 models that were tested left a lot to be desired. With advanced automatic emergency braking systems, and cameras and radar sensors that scan the road, car technology has helped prevent or mitigate crashes with pedestrians. However, while many safety packages come with optional pedestrian detection technology, they are not mandatory in all vehicles. 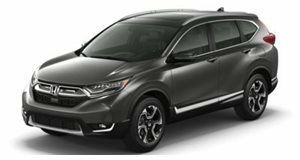 To find out which new small SUVs have the best pedestrian avoidance technology, the Insurance Institute for Highway Safety conducted a series of tests with 11 new models using crash dummies to see if they would stop in time or significantly slow down before a crash. Three tests were carried out replicating common pedestrian crash scenarios: an adult pedestrian crossing in front of a vehicle, an adult pedestrian walking beside a vehicle, and a child running out into a street from behind two parked cars. During these tests, the SUVs were traveling at speeds ranging from 12 mph to 37 mph. The tests were done in response to the recent rise in pedestrian deaths. In 2017, there were 5,977 pedestrian fatalities, a 45 percent increase since reaching their lowest point since 1980 in 2009, according to the US Department of Transportation's data. Fortunately, most of the SUVs either stopped in time or slowed down significantly to reduce the impact of the collision with the crash test dummy, with nine out of the 11 tested SUVs earning "advanced" or "superior" ratings by the IIHS. 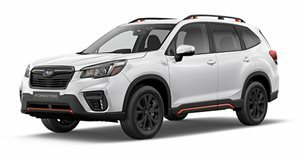 The 2018-19 Honda CR-V, 2019 Subaru Forester, 2019 Toyota RAV4 and 2019 Volvo XC40 all earned "superior” ratings and showed "significant speed reductions.” However, only the Forester and RAV4 avoided hitting the dummies in every perpendicular test, while only the CR-V and Forester earned credit for issuing a warning in the parallel adult test before automatically braking. Two models didn't perform as well, however. 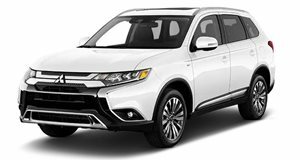 The 2019 Mitsubishi Outlander was rated as "basic" as the SUV’s autobrake earned a superior rating in front crash prevention tests but reduced the vehicle's speed minimally in other scenarios. 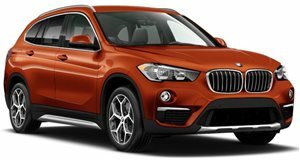 The 2018-19 BMW X1, on the other hand, was given the lowest "no credit" rating by the IIHS since it failed to brake in the 37 mph parallel adult scenario and had "minimal to no speed reductions” in other tests. "We want to encourage manufacturers to include pedestrian detection capabilities as they equip more of their vehicles with automatic emergency braking systems," said David Aylor, the Institute's manager of Active Safety Testing. "We also want to arm consumers with information about these systems so they can make smart choices when shopping for a new vehicle.” In the future, the IIHS plans to use pedestrian crash prevention ratings as part of the criteria for the 2020 Top Safety Pick awards. Pedestrian crash avoidance systems in other vehicle classes will also be tested. You may believe it, you may not, but the X1 is the car that defines the times. 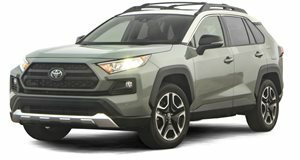 The hybrid makes its case as the best RAV4 to buy. We tried really hard to fault Volvo's sub-compact crossover. It was almost impossible.